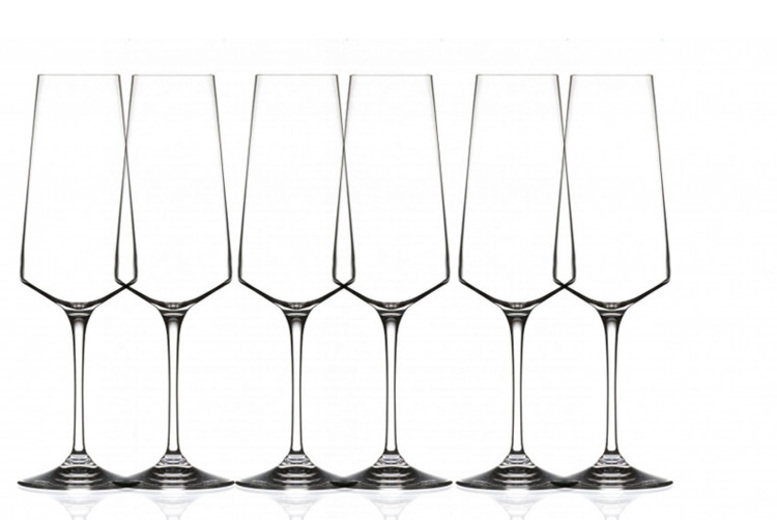 Get a pack of RCR Armonia champagne flutes! Get a pack of 2, 4 or 6. Made from RCR Luxion crystal. Dishwasher safe. Featuring thin stems. Perfect for any celebration!